You'll love this... I can almost promise! 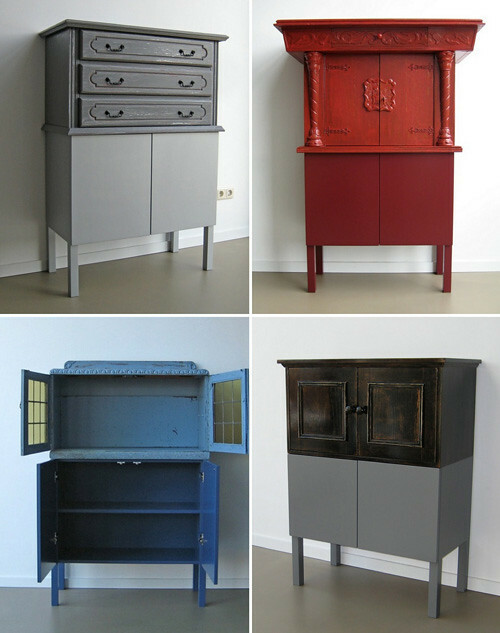 Okay so I can't recall how I found this amazing furniture company in the Netherlands but here is something to really feast your eyes that will no doubt spark your creativity and imagination. The company is called OUD NOW! and is just so cool, I love these fun pieces and find them so unique and daring even. I also am inspired by how some European designers are constantly challenging us to push the envelope and move away from being safe and mass-market friendly. Sure, not all European designers are challenging themselves or their clients, but I seem to find way more who are not ashamed or scared to play around with new concepts than ever before. 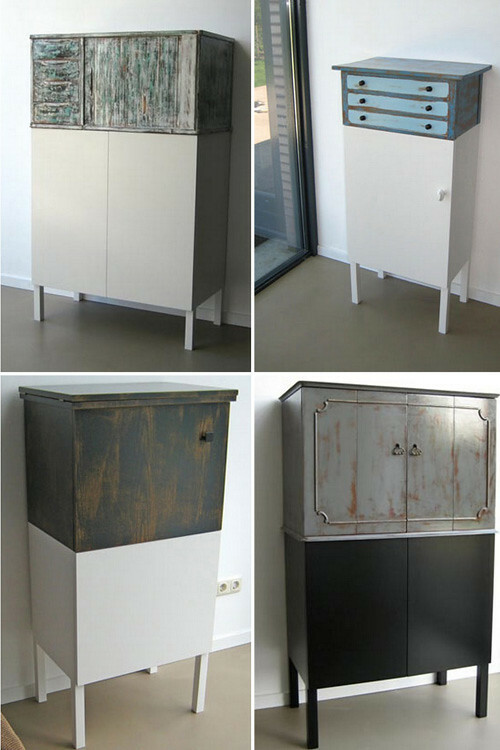 Dutch designer Theo Herfkens created this mash-up of traditional meets modern furniture using vintage cabinets and new construction. All pieces are one-of-a-kind and numbered, making them special works of art that are also practical for the home. From what I gather from my travels it appears as though the more edge or shock value something has the more people want to know about it and in some cases, own it. 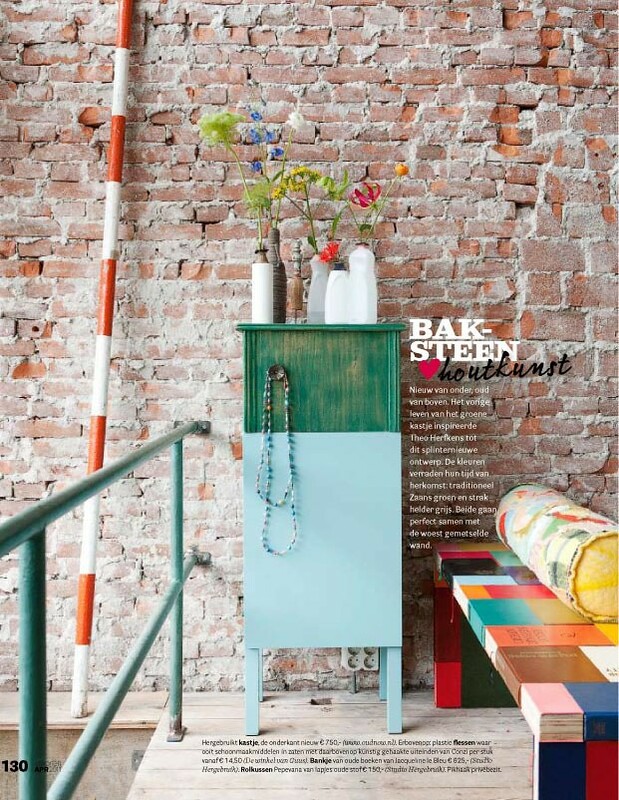 I just love this spread in VTWonen magazine above showing a OUD NOW! cabinet in-situ, it's gorgeous and spirited!